It's always a good reference if a band is from South America. Their style gave some plus, something deviant to the exaggerated metal genres. Mortem is one of the oldest South American extreme bands, but it took a long time until their first full-lenght album came out. Unlike most similar old school bands from that region, Mortem sounded like being only into death metal, they didn't mix other styles that much like others did. The thrash influences are evident, as a basic component of old school death in general, but they didn't balance on the borders of extreme genres. 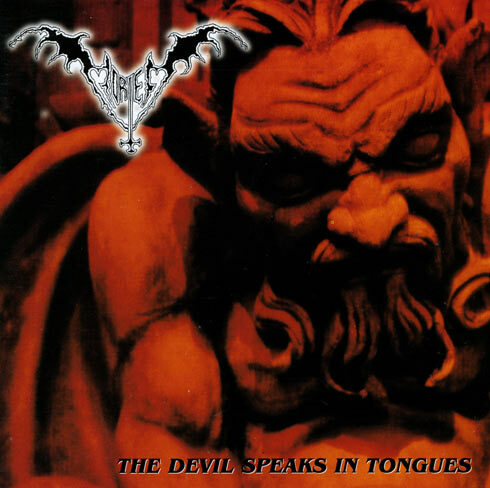 Their first album, "Demon Tales" was an intense debut with aggressive hammering and some insane impression, assisted strictly by occult and satanic lyrical background, and by "The Devil Speaks in Tongues" they have returned with the same awesome themes, but with better sound quality. Their second coming sounded heavier and more intense, and counted already as a nostalgic record that reminds of the old times of the geniune and remarkable South Ameican underground scene.